Update: This offer for Chase Sapphire Preferred® Card has expired. Learn more about the current offers here. The Chase Sapphire Preferred® Card and the Chase Sapphire Reserve® Card are two of the most popular transferable points currency cards out there. Generally I consider the cards to be substitutes and not complements, due to the similar ways the rewards are structured. There’s no one card that’s better for everyone, and well informed people can disagree on which card is better. First I wanted to briefly recap the differences between the cards, and then I wanted to answer the most common questions I get about being approved for these two cards. Which card is better for you primarily comes down to how much you spend on dining and travel, and whether you value a Priority Pass membership. 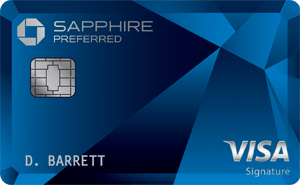 Can you be approved for both the Sapphire Preferred & Sapphire Reserve? The waiting period isn’t based on when you closed the other card (as long as it’s closed), but rather is based on when you received the bonus. Note that I’m not sure exactly how long you have to wait between when you close one card and open the next one. In other words, if you’ve had the Sapphire Preferred for five years and close it, how long do you have to wait till you’re eligible for the Sapphire Reserve? We don’t have a firm answer on that, though personally I’d wait about a month, just to be on the safe side. Does the 5/24 rule apply to the Sapphire Preferred & Sapphire Reserve? There’s something referred to as the 5/24 rule, where you typically won’t be approved for a Chase card if you’ve opened five or more new card accounts in the past 24 months. Both the Sapphire Preferred and Sapphire Reserve are subjected to this rule. That’s why you want to make sure you apply for one of these cards before you surpass that limit. Can you product change between the Sapphire Preferred & Sapphire Reserve? One potential strategy, for example, is to get the Chase Sapphire Preferred® Card and see how you like it. If the card is working great for you, keep it. If you decide the Chase Sapphire Reserve® Card is better for you, you can product change after a year, and upgrade to that card. Is it tougher to be approved for the Sapphire Reserve than Sapphire Preferred? This isn’t a hard and fast rule, though there is potentially a difference in being approved for these cards. The Chase Sapphire Preferred® Card is a Visa Signature, while the Chase Sapphire Reserve® Card is a Visa Infinite. Why does this matter? Credit card companies allocate credit lines based on a variety of factors, including your credit score and income. There are circumstances under which someone could be approved for the Sapphire Preferred but not the Sapphire Reserve. If someone is creditworthy but they wouldn’t be approved with a $10,000 credit limit, they’d likely be denied for the latter. How tough are the Sapphire Reserve and Sapphire Preferred to be approved for? Chase cards are among the tougher ones to be approved for. In general I find Amex cards to be easiest to be approved for, especially for those who don’t have a huge credit history. However, assuming you have an excellent credit score, you have a decent amount of credit history, and you haven’t exceeded the 5/24 limit, your odds of getting approved for either card should be pretty good. I certainly think it’s worth trying to apply. The Chase Sapphire Preferred® Card and the Chase Sapphire Reserve® Card are both excellent cards. Hopefully the above answers some of the most common questions about the cards. The bad news is that you can only be approved for one or the other, though the good news is that you can product change between them, so you’re not totally locked in if you apply for one of the cards. So I have a question about every travel blogger on these boards have written about the Sapphire versus Amex PLT what none has done is frankly opined to which card is better than the other. Not withstanding that all get some form of payment or free travel isn’t time ? As a data point, I recently got out of 5/24 and was able to product change from my longtime CSP to CFU. Once that took effect, I was approved for CSR the next day. This was after the rule about being allowed only one Sapphire product took effect. So, you might not need to wait a month, and I’d certainly pursue a product change to something like a Freedom or FU card instead of closing the account outright. Question for Lucky, If you are an authorized user on a CSR account, can apply for the CSP and get the bonus assuming you meet time and spending requirements? Thanks. @ Dale — You sure can! If you’re an authorized user on the CSR you could apply for either the CSR or CSP. Being an authorized user doesn’t preclude you from applying for the card (and earning the bonus) on the same type of card. @ GoAmtrak — Good to know, thank you! Is there a way to apply via phone for either of these cards? I have two Chase cards that I wouldn’t mind shifting credit away from if it helps me get approved for the CSP. Hi Lucky – quick question; are the double/triple dining & travel points valid for transactions made outside of the US or would one get the bonus points at establishments within the US only? I’ve seen some cards that only give the bonus points at US merchants/gas stations as an example. Thanks. I have the regular chase sapphire card which expires 3/18. Would my card remain a basic version or upgrade to one of the sapphires with an AF? Question on UR points. I have CSP, Freedom and Ink Cash (downgraded last year to avoid fee) so only have UR transfer benefits from CSP (and transfer Freedom and Ink Cash to it). I’m now out of 5/24 and wondering what happens if I cancel CSP. Will I lose the UR points associated with that card? If I’m going to cancel and apply for CSR will it work to transfer all UR points to one of the cash cards and then transfer back to CSR once approved? @ Troy — It remains a basic version, they’re not making any changes for existing cardmembers. @ TonyPVR — As noted by others, the bonus categories also work outside the US. Many Amex bonus categories are US only, while with the CSR/CSP they work globally. Just went this route myself. Downgraded CSP to CF on 1/9, received and activated the new card on 1/15, applied for CSR on 1/20, was told by website “need 30 days to review”, immediately called automated status line and got “need 14 days to review.” According to various flow charts out there I’m told the chanced of approval without recon is pretty high but it’s nail-biting. I’ve got 800 fico, mortgage + 2 car payments, under 5/24, dozen cc’s including 4 chase cards, 8% utilization. I haven’t had either card. Can I apply for both at the same time? I could’ve sworn that I posted a comment here hours ago that went into “moderation” because it contained a link, but appears to have gotten stuck there. Should I post it again, or is the subject of the comment, which asked why there have so many posts of late on the CSR or the AMEX Plat, but not a pip in all of travel blogosphere on another highly compelling “premium” reward card — the HH AMEX Aspire card — that was introduced 4 days ago, too ‘delicate’? @ Alan — Unfortunately not, you can only apply for one or the other. That’s because once your application for one goes through, you’ll be eligible for the other card for 24 months. @Lucky – Any idea how the Chase Business cards factor into the “Sapphire Restriction”? I currently have: Ink Business Preferred, Ink Cash, and a CSP (4 years old). I’d like to get a CSR at the end of 2018, but I received the IBP bonus last month (Dec. 2017). @lucky (or anyone really) – What’s the difference between the Sapphire cards here versus the Ink Business Preferred? Both are Ultimate Rewards right? And the Ink comes with 80,000 vs. 50,000 miles when you hit spend. What am I missing? @ Xtina — The cards come with different benefits. Most importantly, the Ink card is a business card, while the Sapphire cards are personal cards. So you can apply for both an Ink card and a Sapphire card (indeed, the Ink card has a superior bonus). Let me know if you have any other questions.